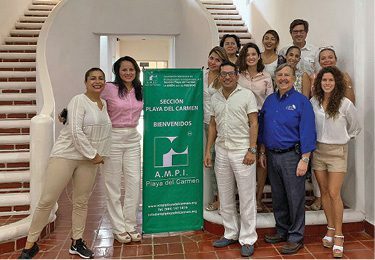 Fresh from Playa del Carmen, Chip took part in an in-depth series of classes there for the Certified International Property Specialist (CIPS) certification, held by National Association of Realtors. (Photo: RE/MAX of Boulder). BOULDER – Have you ever longed to retire in a luxury condo next to the azure waters of Cabo San Lucas or Playa del Carmen? Or thought of buying a vacation home in Mexico, or even considered moving there for work? It might seem daunting to purchase real estate across the border. In fact, this is precisely what Mexican visitors, who vacation in Vail and Aspen or want to relocate to Colorado for work, might be thinking, too. With international specialization in regional market conditions, cross-cultural relationships, tax issues, legal structures, banking and financial issues, investment performance and connections with a network of qualified Realtors and developers, Chip can shepherd clients through complex issues, adding a layer of safety and security by putting them in touch with partners and local resources that will help them successfully achieve their international real estate dreams. To contact Chip, call 303.638.8242, e-mail chip.bruss@gmail.com, or visit boulderco.com.